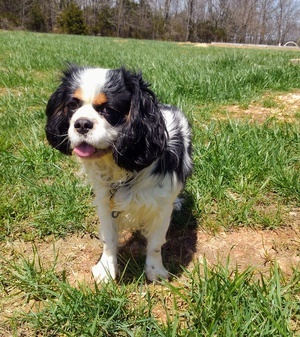 Cavalier King Charles Spaniel, make, Tri color. Stud service available. Puppies available. AKC, OF A heart and patellas. Ch. Grandsired.